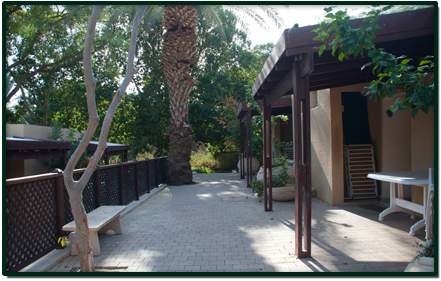 Kalia Guest House is a well-kept green oasis overlooking the Judean Desert cliffs and the ancient landscapes of the Dead Sea. Instead of renovated double rooms and mini suites for families, all are ground-floor, air-conditioned and equipped with spectacular views and grassy expanses. 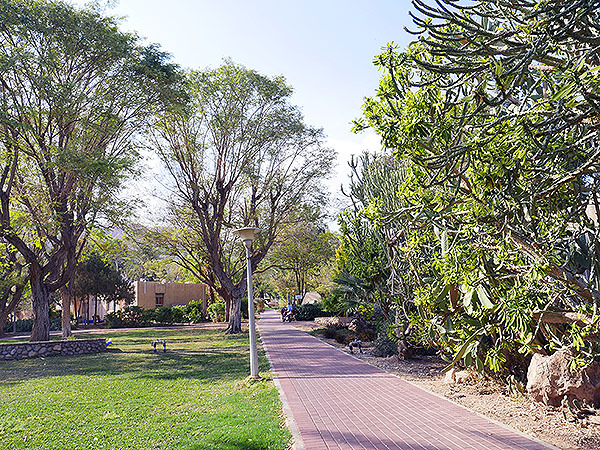 Meals are served in the kibbutz dining room, swimming pool (in season), health treatments, horseback riding, mini-market, and 5 minutes drive north to Kalia Beach. 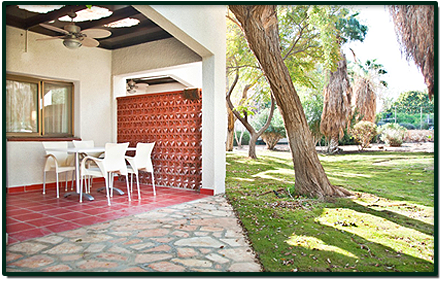 Rooms and mini-suites, immersed in ornamental gardens and lawns, all with air conditioning, television, refrigerator, telephone and coffee corner. Bring beach towels to the sea and the pool. 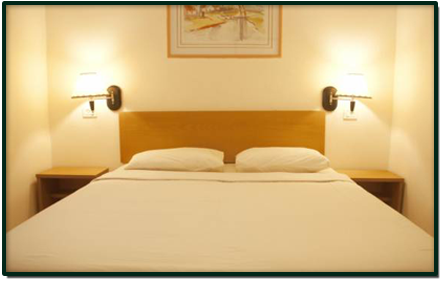 Standard Double Room16 comfortable Tamar double rooms with TV, mini fridge and coffee corner. 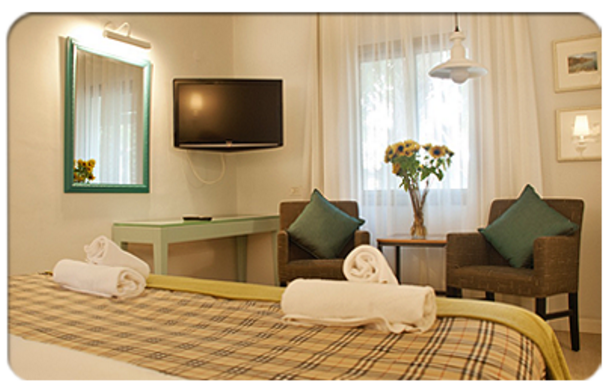 Suitable for an individual or couple.